Small town charm . . . historic treasures . . . and tasty eateries. 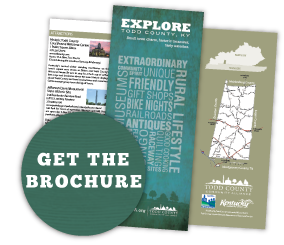 That’s what you’ll find – and more – when you explore Todd County. With a total population of only 12,500, much of the county is preserved in a picturesque rural landscape. In fact, it is one of the top agricultural producing counties in the state. Contributing to that agricultural base is the oldest Amish settlement in Kentucky. You’ll marvel at their crafts, baked goods and the bounty of fresh produce, flowers and plants. From the birthplace of one of the most polarizing figures of the Civil War to the birthplace of one of the most celebrated literary scholars in the history of the United States, Todd County is ripe with history. Todd County offers a number of unique shopping venues, as well . . . just take your pick. For such a small county, there is so much you can experience here. So, come spend a day touring Todd County and its many treasures. You’ll be glad you did! 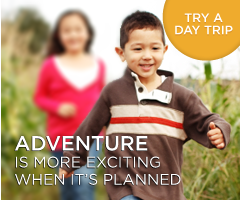 Visit the Bale Trail Page Here!